Premium quality compact tipping trailers for municipal, park and hobby sector machinery. Foresteel offers proven solutions for municipalities, greencare contractors, horticulture and greencare enthusiasts, park maintenance companies and hobby users around the world. All Foresteel trailers are built with high quality components and manufactured with up-to-date production technologies to offer high quality products to our customers. 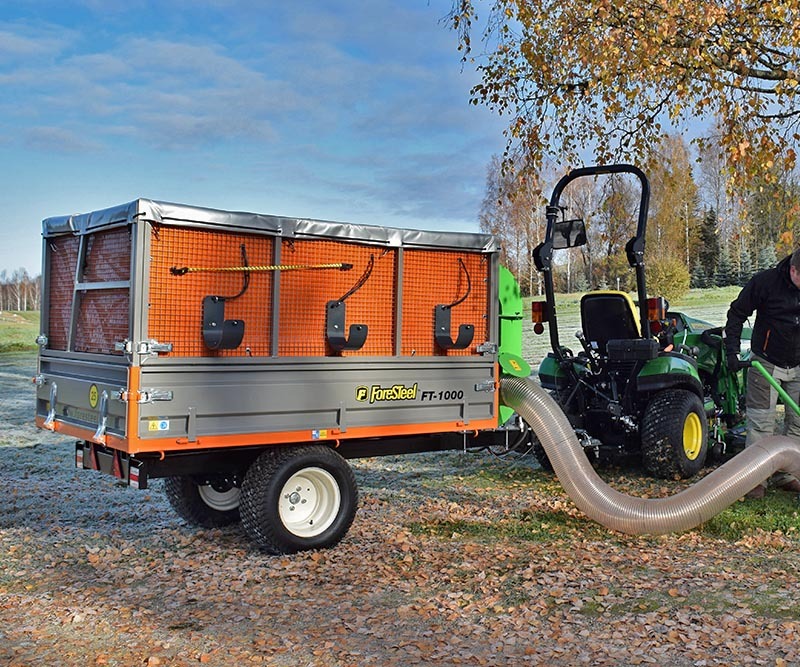 Our product range includes small trailer series and leaf collection solutions which is a compact yet efficient combination for cleaning from yards to large park areas of leaves and debris. + Leaf vacuum solutions that make debris and leaves collection easy and convenient. + Platform type body construction offers wide range of usage possibilities. + Wide range of optional equipment give you more options to configure. + Adjustable towing couplings make fitting to any machine possible. 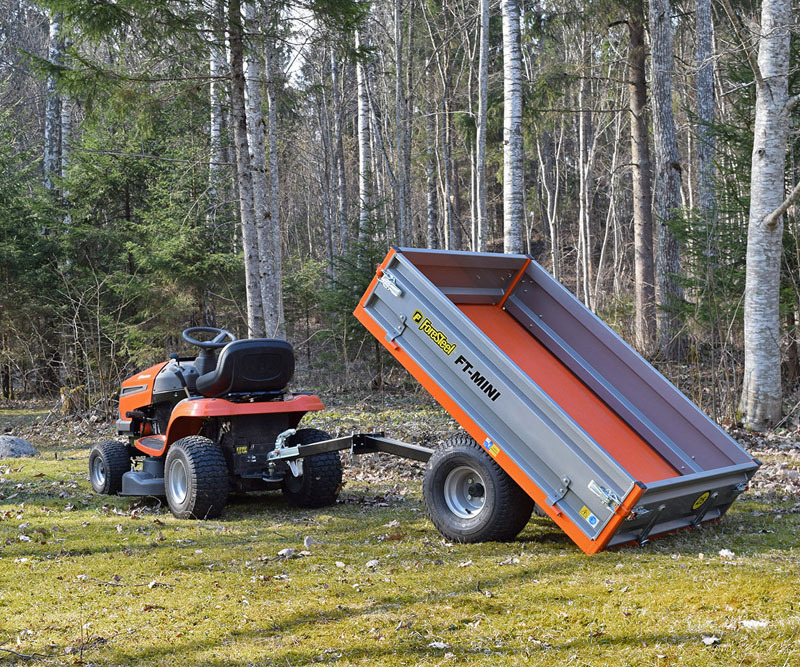 The ultra compact and light manual tipping FT-MINI is a new addon to Foresteel lawn tractor segment. We're proud to introduce you our newest addition FT-MINI. Based on our customers requests and needs we're happy to bring you a new, smaller and lighter companion for your lawn tractors, ATVs and electric carts. 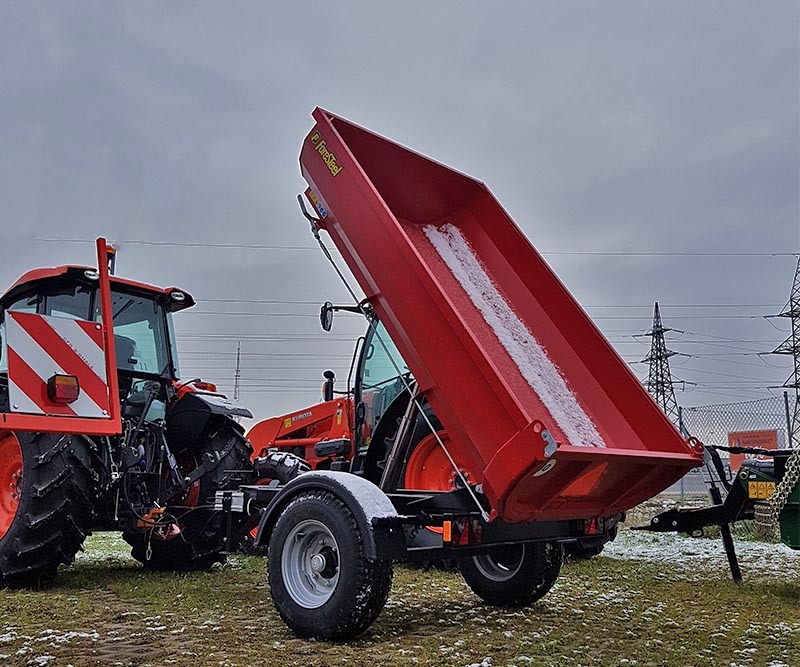 With our proven multifunctional platform body, easy manual tipping, wide turf tires and aesthetic looks, FT-MINI is here to make your seasonal works easier and more enjoyable! Premier at Maamess 2019 exhibition in Tartu, Estonia on 25-26-27th April. Come visit us at stand VP-25 and learn how you could benefit from having one (or two)! More information available soon! Ask your local dealer for more. When looking for a light and universal supplement for your machinery, the hydraulic tipping FT-600 has a lot to offer. 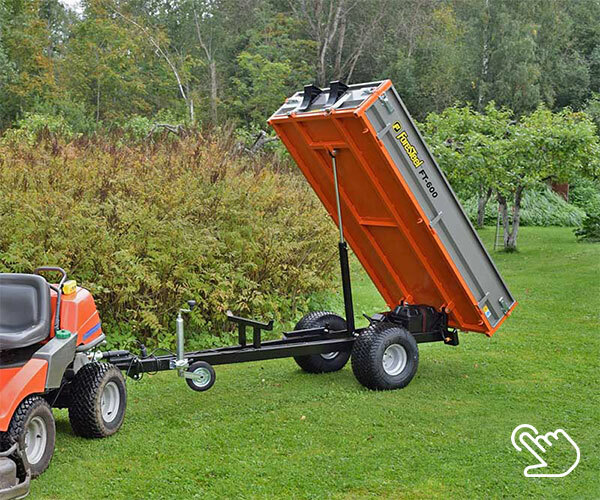 The lightweight hydraulic tipping trailer with platform-type body is designed for small machinery like bigger lawn tractors, electric vehicles, golf and park machinery, ATV's and UTV's. Platform body and ergonomic loading height make loading and unloading easy and comfortable. The light yet solid 1000 kg loading capacity tipping trailer is definetly the one to look for. 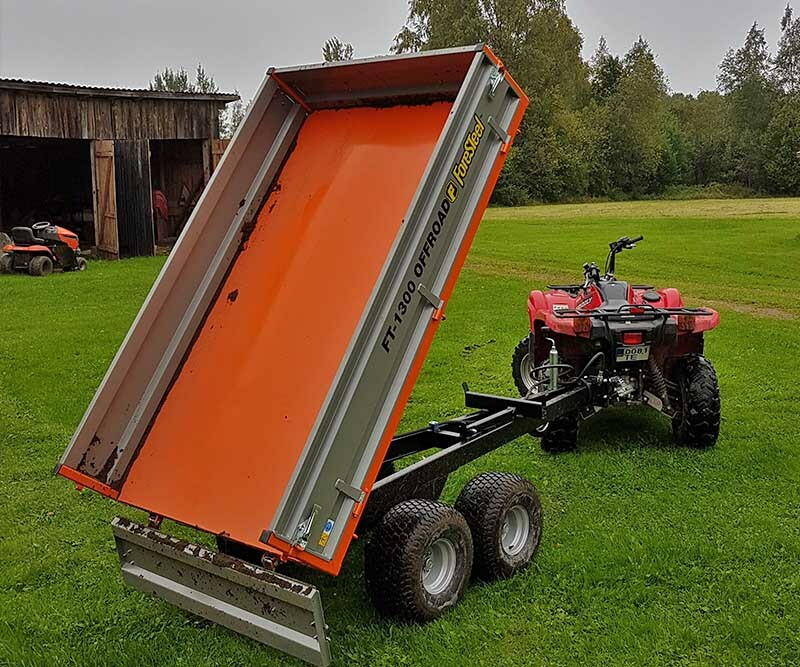 The multifunctional hydraulic tipping trailer with platform-type body is designed for smaller machinery like compact tractors, electric vehicles, compact loaders, ATV's and UTV's. Platform body and ergonomic loading height make using the trailer comfortable as with any other FT series trailers. When roads are starting to look rough or you need to go off the road often, it's time to consider the FT-1300. It has been designed for ATV's and UTV's for greater stability, flexibility and comfort on rough terrain. High strength, optimized construction and small weight make it a great choice over the crowd. The municipal grade 3-way tipping trailer with 2200 kg loading capacity. Because of its universality and ease of use, FT-2200 makes every task simple and offers varied applications. 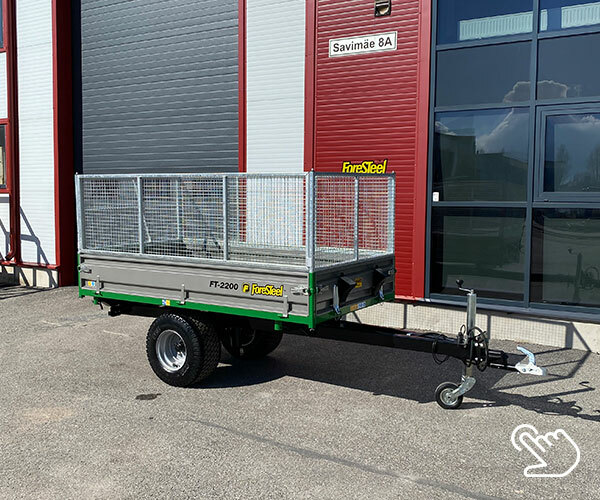 Trailers platform type construction with 3-way tipping functionality along with a wide range of accessories make it one of the top choices of municipalities and greencare contractors. Foresteel offers wide range of leaf vacuum kit solutions for leaves and debris collection. 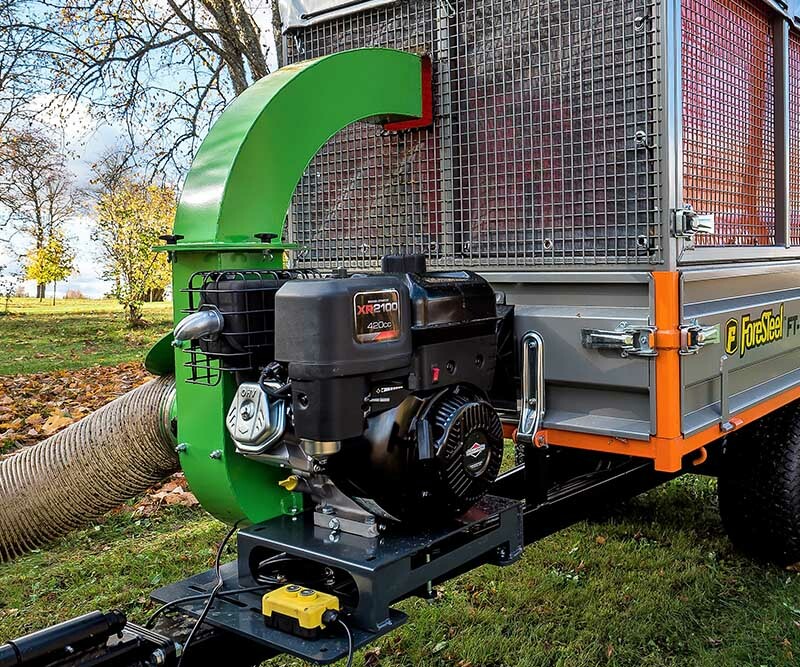 Foresteel trailers in combination with leaf vacuum units simplify and save time during seasonal leaves collection tasks. Simplify debris collection works and add yet another feature to any already multifunctional Foresteel trailer. Powerful, well designed suction units for different size contractors, municipalities, park maintenance companies and seasonal cleaners. Single axle trailer Foresteel FT-3500D is dumper-type tipping trailer with 3500kg load capacity. Due to its unique body type, the solution has proven efficient in handling bulk materials. It is mostly used in the areas of city construction and landscaping, as well as among farmers and hobby users.